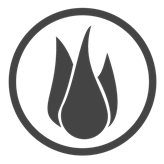 We are Brushfire and we provide world-class event management software and services to churches, ministries, and not-for-profit organizations -- large and small -- all over the world. We specialize in events of varying complexity including customizable registration forms as well as general admission and assigned seat ticketed events and compete directly against the largest companies in our market. We now have over twenty team members across four states and thrive in a distributed work environment with no physical central office. Learn more at https://brushfire.com.